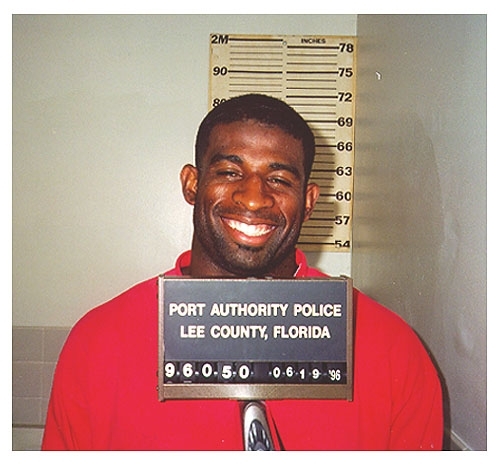 NFL star Deion Sanders was arrested in June 1996 by Florida cops and charged with misdemeanor trespassing. Lee County Port Authority Police caught Sanders, who played for the Dallas Cowboys at the time, fishing on a lake owned by the Southwest Florida International Airport. The 28-year-old defensive back had ignored 'no trespassing' and 'no fishing' signs posted on the property as well as an earlier law enforcement warning to stay away from the lake.